The time honored tradition of making homemade bread is a practice that has been passed down through generations. The fragrance of baking bread can bring the family together in the kitchen like nothing else, and it can be a fun way of involving children in food preparation while teaching them a useful skill. Bread machines and food processors make the job easier, but mixing and kneading the dough by hand is such a satisfying experience. In this age of food technology, ingredient lists on store-bought bread can be a little scary. Who wants all those unpronounceable ingredients in their food? Making homemade bread allows us to choose what goes into our bodies. 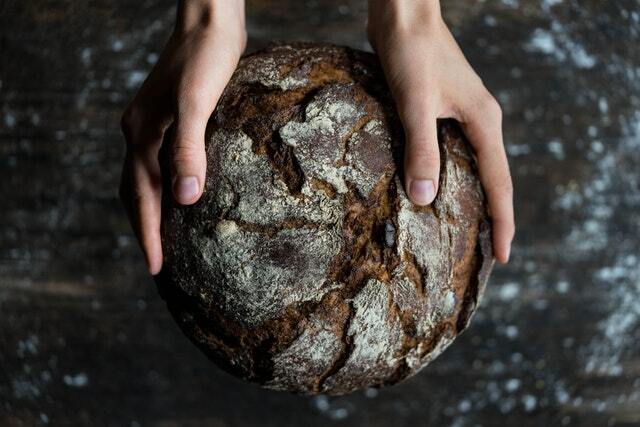 Whole, natural ingredients provide our families with the nutrition they need and are an economical alternative to costly bakery loaves. Making bread requires three steps: Mixing the dough, proofing, and baking. Making bread dough is as easy as mixing together flour, liquid, yeast, and a few other basic ingredients depending on the variety of bread you are baking. Next, the dough is kneaded to develop the gluten, which is a protein in the flour that provides the light, airy, slightly chewy texture of bread. Kneading is performed by pushing and stretching the dough against a hard surface, then folding it back on itself. This is repeated over and over, while occasionally rotating the ball of dough ninety degrees. Proofing refers to the process of letting the dough rise. This is to develop the flavor and produce the lattice of tiny air holes in the bread as the yeast work. Finally, the dough is baked, releasing its mouthwatering fragrance as the dough becomes bread. Basic white bread dough requires just six ingredients. In a large bowl, combine 2 cups warm water, 1 packet active dry yeast, 2 tablespoons sugar, 2 tablespoons canola or olive oil, 2 teaspoons salt, and 3 cups flour. Pour onto a well floured surface and knead an additional 2 cups flour into the dough, kneading for a total of 10 minutes. Place the dough in a large oiled bowl, cover and allow the dough to rise in a warm place until at least double in size, or about two hours. Knead again on a lightly floured surface for about one minute. Shape into loaves, rolls, or pizza crusts. Allow to rise for 30 minutes, and bake in a preheated 350âˆžF until lightly browned and hollow sounding when tapped, about 35 minutes for loaves, 20 minutes for rolls, and 8 minutes to prebake pizza crusts. Fresh from the oven and slathered with butter, fresh bread is a delicious treat. Homemade bread requires little hands-on time, and the results are definitely worth the effort.